This year has been a wild ride for my writing career, and I’ll always remember it as the year that things got serious. Even though there were lots of national and international events that were major downers, a lot of my more limited personal experiences have been very positive. I thought I’d share a few here. It all started in January. I was deep into the query trenches by then, and promised myself (on the advice of Anne Mini) I’d wait until February 1 before I sent out new queries. The reasoning is that slush piles are super-high in early January due to the holidays and new year’s resolutioners, so rejection rates are super high. I entered the #SunVsSnow contest run by Michelle Hauck and Amy Trueblood. No dice. I entered Brenda Drake’s #PitMad and had SO much fun, even if my pitches didn’t catch the eye of a literary agent. 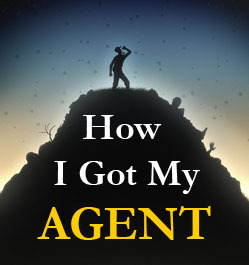 I persuaded Brenda to let me do a guest post with a breakdown of the numbers which made me feel better about not getting any agent requests. I ended up waiting until around January 25th to start querying. I fielded some rejections, a partial requests, and a couple of full requests. But I’d been through this before, so I went in with low expectations. But a couple of weeks later I had my first phone call with a literary agent, and a month after that, a writer’s dream: an offer of representation. Landing a literary agent opens a lot of doors. First and foremost, she can shop my book to major publishers. Second, I had the chance to meet some of the other authors represented by Red Sofa Literary. Third, as an agented author I gained access to Codex, an online community for neo-pro writers. 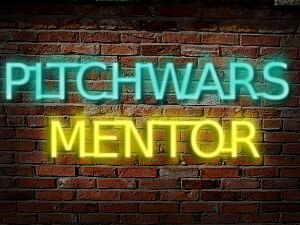 Finally, I got an invitation to serve as a mentor for Brenda Drake’s Pitch Wars. Pitch Wars is an annual event in which 70+ mentors — a mix of agented authors, editors, and members of the publishing industry — work with new authors to polish their manuscripts in hopes of landing a literary agent. Read my wrap-up post to get the highlights of my Pitch Wars experience. I’ve had some wonderful exchanges with editors of a few fine literary magazines (encouraging rejections), which suggests I’m making some progress. Still, writing short stories is tough and the market is tougher still. I had a real thrill over the summer and early fall when I entered WRiTE CLUB, a flash fiction contest operated by D.L. Hammons. I’d heard about it from Tex Thompson, my agency sister, who happened to be last year’s champion. 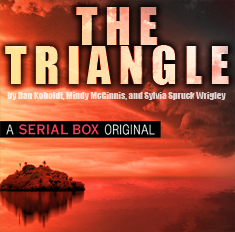 To enter, you send in a 500-word piece of fiction under a pen name. The top 32 were chosen by a panel of judges, and then these went through round after round of head-to-head matchups. The readers voted for their favorites. I made it to the quarterfinals, then the semifinals. There were some close matchups! Then I made the final round, which would be judged by a panel of agents and writing pros. Including Tex, by the way, so I couldn’t tell her I was still in it. Check out the post on my WRiTE CLUB experience if you want to know how it ended. 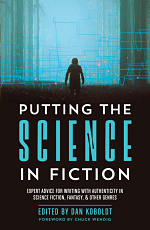 It occurred to me at some point this year that there are many popular misconceptions about science in books, movies, and other mainstream media. I can’t stand it when basic scientific principles are flagrantly violated in any genre, but science fiction especially. I’m less able to detect when historical inaccuracies occur, but I had a good feeling they were prevalent in fantasy fiction as well. Luckily, I’m a scientist and I know lots of others in the research/tech/medical fields. Many of whom are writers themselves. 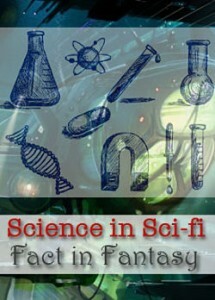 So I launched Science in Sci-fi, Fact in Fantasy, a weekly blog series in which we tackle scientific/technical/historical concepts that are used (or mis-used) in fiction, with help from an expert in the field. This series has been SO much fun. Thus far, we’ve had 24 articles from a growing panel of experts (currently around 18). We’ve talked about space travel, explosions, genetic engineering, and wildlife ecology. We’ve debated the most likely zombie pathogens. We’ve tackled feudal nobility and horses and developing fantasy cultures. I’ve learned as much as anyone from this, thanks to the generous contributions of so many experts. Some time after I signed with Jennie, I floated the idea of running a Twitter pitching event like #PitMad, but devoted to sci-fi/fantasy authors. Because, let’s be honest, we often get buried by the MG and YA authors in Brenda Drake’s contests, and pitching SFF is hard, dammit! Jennie was very supportive, and even recruited some of her literary agent colleagues to attend. 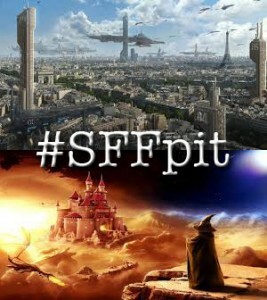 And so #SFFpit was born. I’m thrilled to see so many authors coming out to pitch their work, and grateful to the agents & editors who read pitches. This kind of thing can only grow, let’s hope for even more participation next June! One of the best things that happened writing-wise in 2014 is that I made friends with many other writers. I met my agency-siblings Tex Thompson, Carrie Patel, Tom Torre, and Dan Bensen. I got to know Brenda Drake, and through her folks like Dannie Morin (and her Clubhouse), Shana Silver, and Julie Sondra Decker. Diana Urban has fielded my epic e-mails. I joined up with my Trouble the Write Way bloggers Caitlin Sinead Jennings, Lisa Terry, and Karlie Hart. We’ve supported one another, commiserated or celebrated when necessary. They’ve kept me centered and motivated. I wouldn’t be where I am without them.